The FICO credit rating score scale, developed by the U.S. company Fair Issac Corporation, is the most widely used scoring system among lenders. It is used to determine an individual's creditworthiness – the likelihood that a person is going to repay debts when due and bills on schedule. FICO scores range from 300 to 850. The higher the number, the better the score. Your score is calculated based on following. 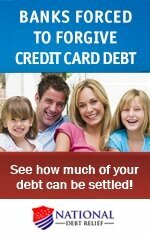 10%: Variety of credit types used, including mortgage, credit cards, installment loans, etc. Here's a general interpretation of how lenders view FICO credit score scores and how you are impacted by the credit rating score scale. Your score is the best that it can be. You should always get approved for the loans you need, with the best possible interest rates that can be offered. This is a very good score, again. Your loans should be approved without issue. Depending on the lender, you may also qualify for the best interest rates. Different lenders have different cut-off points for interest so you may have a little bit of room for negotiation if you believe you deserve a better rate than the one offered to you. Also, if you are close to the midpoint of this range or higher, don't fret too much about working on enhancing your credit rating to push it over 800. This is a good, acceptable score. Loans will generally be approved, though your interest rate will likely be a notch higher than the rate offered to people with higher credit scores. This is typically considered fair or average. Loans can still be granted, or approved conditionally, but interest rates will be far from the best. There may be about a two percent rate differential, on average, compared to what may be offered for a score that is 100 points higher. We are approaching the "bad" credit zone periphery here. Lenders can have serious objections to approving loans to people with credit scores in this range. And, if they do issue a loan, the interest rate will be high. So, don't borrow money unless you absolutely need to, before improving your credit score first. This is officially the bad area of FICO credit rating score scale. It's time to work on fixing your credit rating and considering getting help from a debt management professional. 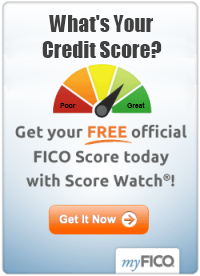 To get a copy of your FICO score, visit www.myfico.com. Please see article links below for more information.